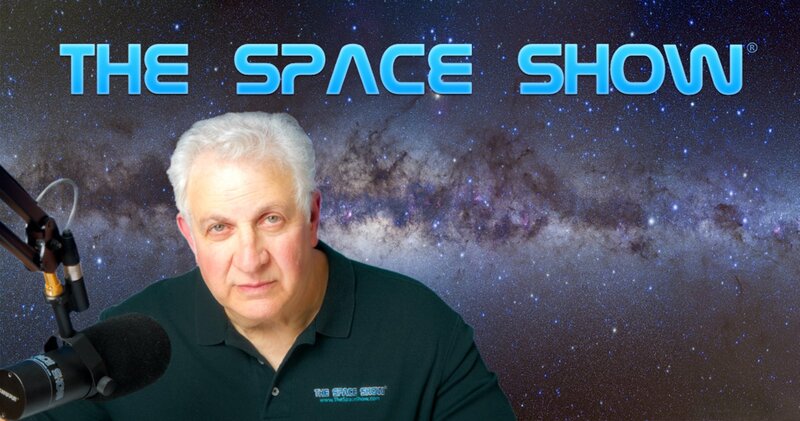 We welcomed Don Eyles to the show for a 66 minute one segment discussion regarding his new book, "Sunburst and Luminary: An Apollo Memoir," lunar lander computers and software and more. We started our discussion with Don telling us how he came to work on the Apollo lunar lander with no experience as a fresh hire from college. It is an interesting story so don't miss it. In fact, Don has a short paragraph highlighting this fact on the inside book cover flap so when you get this book, make sure you read it. Please remember to use The Space Show/OGLF Amazon programs if you buy the book through Amazon. For details, see the large Amazon button on our home page as Amazon has great nonprofit programs. Remember, Amazon will donate a percentage of the purchase price to us if you use one of the two Space Show/OGLF programs. Again, click on the big Amazon button on our home page for details. With only a few minutes into the program, Marshall called without even knowing the program discussion theme of the guest. Marshal wanted to know about the lunar lander computers as well as software and the code. For example, we learned that the lunar lander computer weighed about 70 lbs. Later, when Don and Marshall discussed the fact that a modern day smartphone was about a million times more powerful than the Apollo computers. Given the weight of a smart phone and its power, it becomes easy to see our computer and tech progress through today. Don also said the computer drew about 55 watts. He compared their coding and memory capabilities to a modern day computer or smartphone. Don and Marshall explored other lunar lander hardware characteristics and issues plus how they had to code things for Apollo. Marshall's discussion was very interesting so don't miss it. Listeners had many emails for our guest. One from Todd wanted to know about crew training and interaction with the software and computers. Another listener asked about the simulations, wondering if they proved accurate and reliable with the real thing. I asked our guest what his biggest challenge was and he said it was getting the equations to work with the operating system. He then explained why that was a challenge. Another topic was that of carrying out exploration which our guest valued very highly when he was part of the team and still does today. Don had much to say about exploration throughout our discussion and in particular toward the end when we focused on his thoughts for human spaceflight in the future. Don was asked about getting back to the Moon with people today to stay. Don't miss what he had to say, especially about the efforts of the private sector over the government including NASA. Guidance and navigation were brought up by additional listeners, then Don talked about the job the crew had to do in different phases of the mission. Don't miss this description as it was new to those of us listening though it is in his book. I asked Don about his thoughts when watching Apollo 11 and the landing on TV. He said they only heard audio over a squawk box plus they had papers in front them to work with and review as needed. We then talked about the landing alarm that went off in the lander . He explained this to us. By the way, if you are fortunate enough to see the new Apollo 11 documentary movie, they have the real film footage showing the alarm going on and off during the Eagle's landing. I saw the film today after talking to Don and was prepared for those scenes but had never seen them before. I'm glad I talked with Don about it before seeing the movie. Don't miss Apollo 11, it is incredible. You will really like it. Listener Becky asked Don what was next for him and his work after Apollo. Don talked about the ISS, the shuttle, Skylab and more. I asked him about being a graybeard consultant for the privates wanting to go back to the Moon re needing a lunar lander. He said that had not yet happened. He also said robotic landers would be much simpler but that not that much had changed for even a modern day human lunar lander as the equations and math were the same. Listener Paul wanted to know if Don was part of the Apollo 13 mission. Don talked about his art as he has become an artist. He described his floating sculpture work. Check it out at pyr2014.tumblr.com. To see Don's photography, visit doneyles.com. Before ending the program, I asked Don for his views on the future of human spaceflight. Don expressed concerns but said he was impressed by the privates such as SpaceX. He said he was looking to a future because of the work being done by the private sector. Before we ended our discussion, he told us what was behind the title of his book. Don't miss it. Please post your comments/questions for Don Eyles on TSS blog for this program. You can reach Don through me, his website or the book's website, www.sunburstandluminary.com. Don's new book, " Sunburst and Luminary: An Apollo Memoir"